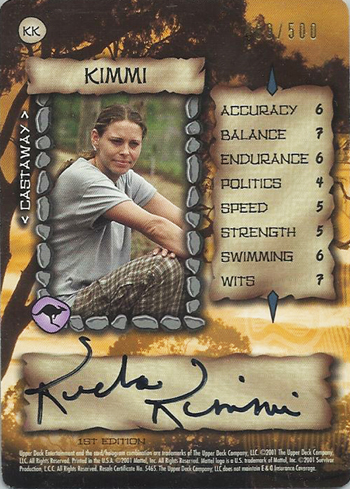 Collecting “Survivor” Castaways: Find Trading Cards of Some of the Current and Former Tribe Members! I get sucked into reality shows. I don’t know what it is about them. They are just so mind-numbing they provide a great escape for a little while. One that I usually fall victim to watching each season is “Survivor” on CBS and last night was no different as I tuned in for the series premiere. Unfortunately aspects of my job frequently reach in and disrupt this mind-numbing experience for me. 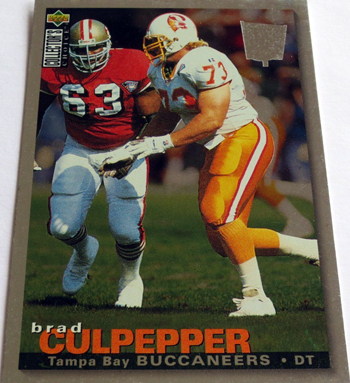 As was the case last night where as I heard one of the members of the tribe was a former NFL player (Brad Culpepper), I immediate said to myself, “I wonder if he has an Upper Deck football card?” And wouldn’t you know it, he actually does have a card from Upper Deck’s Collectors Choice brand showing him as a much larger Defensive Tackle for the Tampa Bay Buccaneers. 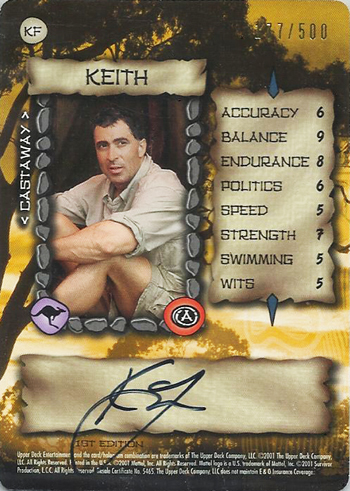 Then I thought about some of the other professional athletes to have played the game and how a fan of “Survivor” could collect their cards. 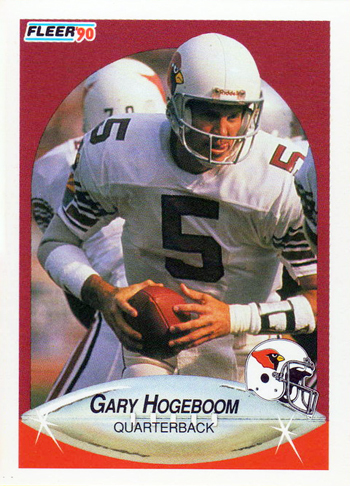 You’ve got former NFL quarterback Gary Hogeboom who was on the show during the season in Guatemala. 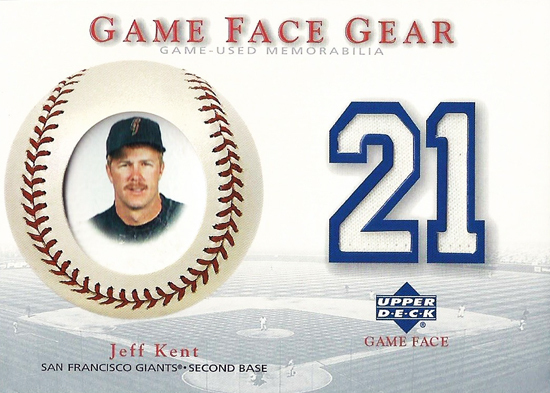 And then of course there was former baseball superstar Jeff Kent who played the game in the Philippines and had an epic tirade after he was voted out. I also can’t believe I forgot another major sports icon who played the game in Jimmy Johnson, the former college and pro football coach and current analyst for FOX Sports. The best part about watching him on the show was how bad you knew he wanted to comb his hair throughout. And as I thought about that, I remembered a quirky product Upper Deck did back in 2001 in my early years with the company. 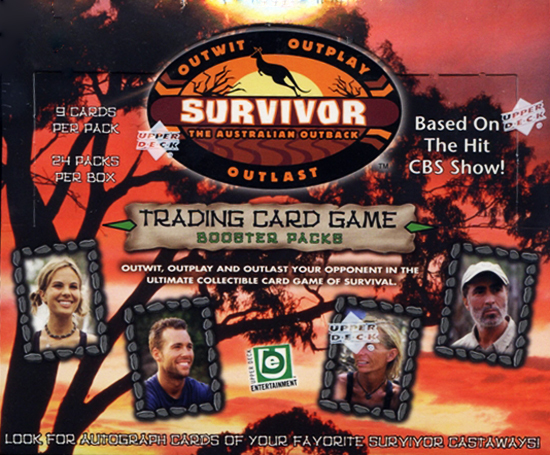 We actually created a trading card game for “Survivor” where players were tasked to outwit, outplay and outlast other players in the game, using former contestants. It was not a smash hit at the time, but with “Survivor” having carried on as a show for so long, I still see comments about this product from time to time as excited super fans find it for the first time. Will any of these cards end up paying for your kid’s college? Certainly not, but they are a fun way to enjoy the game by collecting your favorites throughout the years. 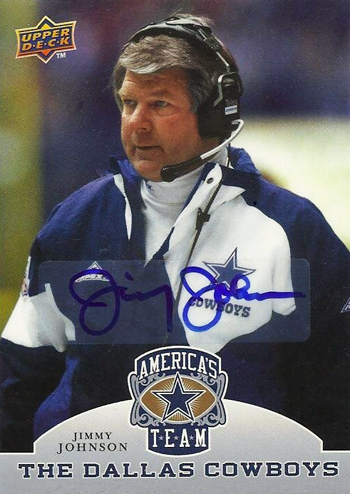 Don’t forget about former coach Jimmy Johnson, who appeared in a few Upper Deck products in 2004 and then in the 2009 America’s Team set.